Contact us today for more information about building your next home. Holthaus Building, Inc. is a family business with more than 40 years of experience in the custom home building business in Kansas City. Holthaus Building, Inc. builds luxury custom homes throughout the greater Kansas City metro area. We sell lots and build homes in several premier Kansas City neighborhoods and can assist you in finding the perfect location for your luxury custom home. 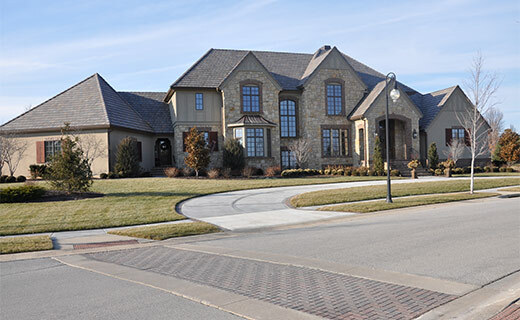 Since 2006, Holthaus Building has built more than 60 luxury homes in premier neighborhoods in the Kansas City metro area, including Lake Winnebago, Hallbrook, Siena of Leawood, Tuscany Reserve of Leawood, Lake Quivira, Glen Eagles of Overland Park, and Highlands Creek of Leawood. Holthaus Building's custom homes are one-of-a-kind luxury homes designed specifically for you. No two homes are alike. We work with some of Kansas City's most talented architects to create unique and innovative floor plans. If you have seen a Holthaus Building custom home with a floor plan that you like, we can use that floor plan as a starting point and then adapt it and customize it to your specifications. If you've already purchased the perfect piece of land for your dream home and just need the right builder, Holthaus Building can bring your vision to life. For more information about Holthaus Building custom homes or current neighborhoods and available lots, please call us at 913-814-0475. © 2013 HOLTHAUS BUILDING, INC. All Rights Reserved.